Okay. Okay. Okay. You win. I’m going to give you one of my best strategies for getting a deeper splits… you win. 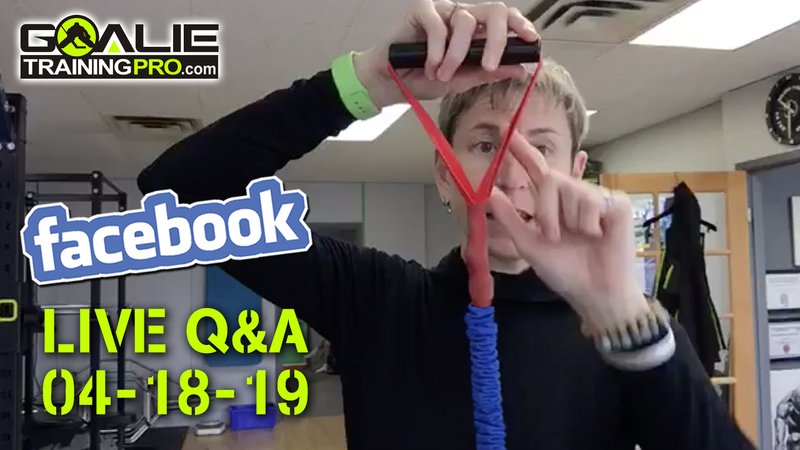 So by the end of this video, I’m going to give you one of my best strategies for getting a deeper splits in a way that you can use it on the ice and that actually reduces your risk of injury. I’m also going to have to tell you why most of you will never get a full split and how the type of stretching that you’re doing right now, that static stretching, just trying to get the split isn’t going to help on the ice and could be increasing your risk of injury. 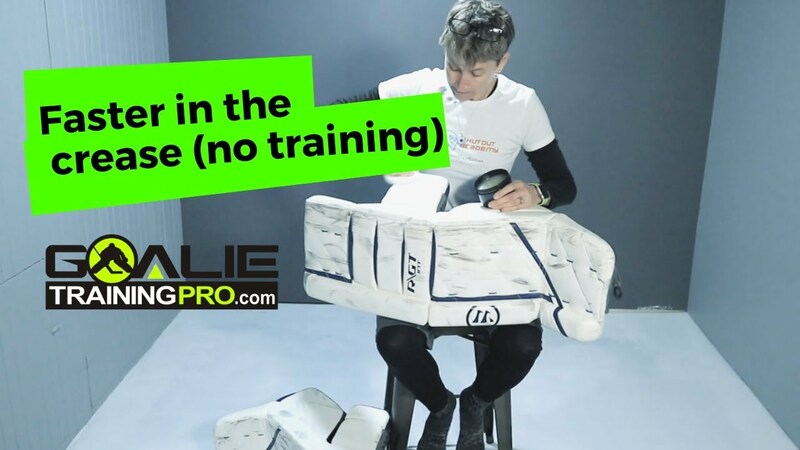 This is Maria from goalietrainingpro.com, Goalie Training Pro TV episode 53… (I’m gonna say 53?). So I’m going to give you the action steps in a second. But first I have to tell you, because my conscience dictates, that I’ve asked every single NHL coach I’ve ever talked to and I’ve talked to a lot. I asked Thomas Magnusson, who’s the head of Swedish Goaltending Development. I even asked Carey Price. Carey can’t do them by the way. He says he wishes he could because it would be kind of cool. But across the board, every single coach is like, not at all. I couldn’t care less if my goalie can do the split. So there you go. Now let’s talk a little bit about the stretching that you’re doing right now. Most of you’re probably just doing static stretching, trying to cram yourself down into the split somehow. What that does is it takes the muscle fiber and it just lengthens it out, but it does nothing to strengthen it. So it puts it in a weak position and maybe let you get into a weak position where you’re more inclined to tear your groin. If you’re lucky your body’s proprioceptors and… well some of them are called muscle spindles others are called Golgi tendon organs, but they sort of pick up like, hey, you’re getting into the danger zone. So what they’ll actually do is contract that muscle. That’s what happens for you guys who, “Hey, I can do the splits at home when I’m just stretching out, but on the ice I can’t even get close”. You’re lucky because your body is actually protecting you from yourself. So now let me give you the steps to actually help improve your splits and how deep you can get in your splits. Not everyone’s hips can do the splits. Most of us can’t. So anatomically we’re limited. But I’m going to show you how you can get deeper in your split but also develop stronger grinds in that length in position. So for those of you that follow strategic mobility for goalies, if you don’t know what that is just go to strategicmobilityforgoalies.com. But you’ll be familiar with this advanced technique. It’s based on the functional range conditioning principles. But you’re going to get, and I’m just going to do a side split, so I’m going to get out as wide as I can, keeping my hips up. If I come forward, I’m sure to cheating that way. So I’m going to come out as far as I can. Keeping my hips underneath me and I’m going to get a good stretch position here. I’m going to just hold that stretch position for 30 seconds. If you’re just starting, start with 15 cause it’s going to be really hard to do, so I’m going to hold for my 15 or once I get going, my 30 seconds. Now what I’m going to do is I’m going to push my foot down into the floor, so now I’m turning on these adductor muscles. I’m creating tension and I’m building that tension. Again, if you’re just starting with this, don’t just smash your force down. You could even tear your groin doing that. So just go nice and easy. Build that tension, but over 30 seconds kind of getting up to your max effort. Then what you’re going to do is almost like I’m trying to lift my foot off the floor. 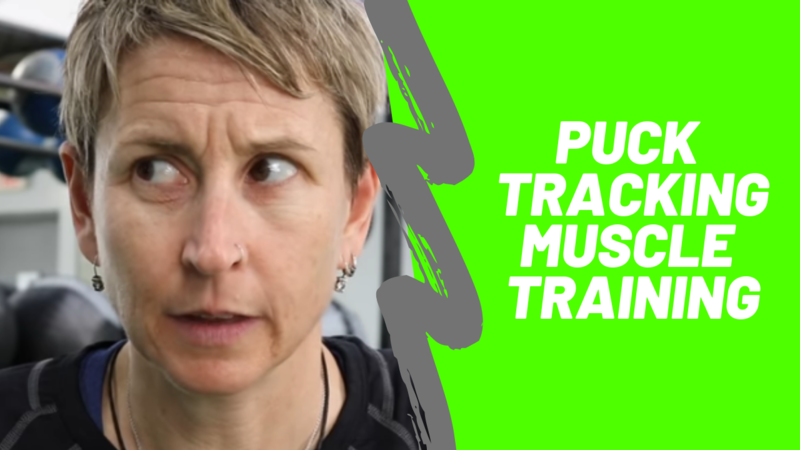 You’re not going to be able to do it obviously because it’s holding you up, but I’m going to turn on these muscles on the outside of my hip or almost like I’m trying to pull myself deeper into the split. So now I’m turning on the antagonists muscles, which if I hold that long enough, should help the agonists relax a little bit. Then what I’m going to do for the last 30 seconds is just relax, breathe through it and just feel that nice passive stretch there. And you can do that on your front splits as well. 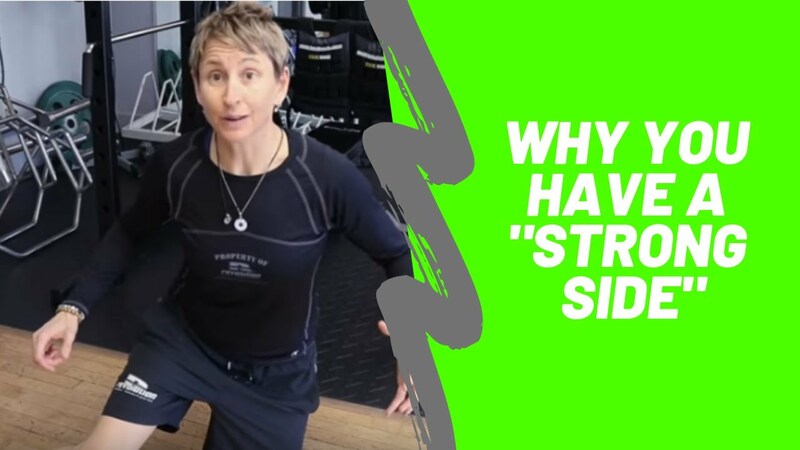 Just as well… you probably need something just to help hold you up and balance, but you’re going to first just hold the stretch, then you’re going to push down, then you’re going to pull up and then you’re going to just hold the stretch. I’m going to give you a bonus tip. If you aren’t doing self-mile fascia release, so that’s your foam rolling or your lacrosse ball work, that’s a place to start. That’s going to unlock a lot of flexibility for you and work on your tissue quality. If you’re looking for a program to get started and you’re just not sure where to start, start with the Butterfly Challenge 3.0. It’s actually an app that you can download on the Apple store or Play Store. And you can download that. It’s totally free and it takes you through a little 14-day flexibility challenge for goalies. So that’s where you can get going. If you like this video, if it helped you out, if you want to get deeper splits like Johnathan Quick, I know you do, give it a thumbs up. If you’re watching on YouTube hit the bell, because then you’ll find out as soon as I release a new video, you’ll find out before your goalie partner. So you’ll have a little headstart. But you have an awesome day. I’ll catch you on the next episode Goalie Training pro TV, cheers!